I haven't reviewed a book in a while, so I'd like to post about something I just got finished reading: Incarceron by Catherine Fisher. I loved this book. It is so unique, so original. 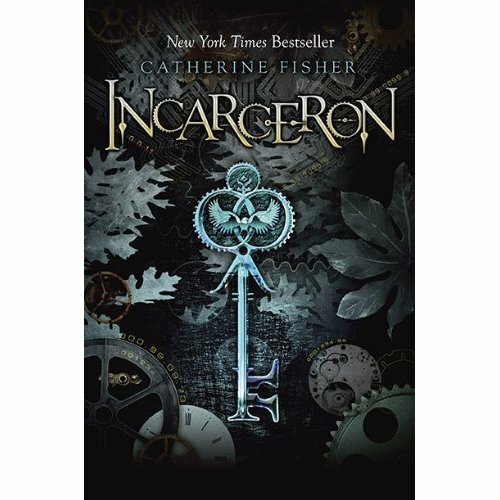 Incarceron is a high-tech prison--and an experiment. Take the dregs of society, lock them in, and use them to create a utopia. A flawless plan, right? The problem is it doesn't take into consideration human nature...or the possibility of the prison becoming self-aware. None can enter and none can leave. Then why does Finn feel certain he is from Outside? And if he is, how can he return? On the Outside is Claudia, the daughter of Incarceron's warden, who is trying to escape her own prison--an arranged marriage. When she and Finn each find matching crystal keys, will Escape finally come? I found this book completely amazing. Right up there with The Hunger Games. At least. Mind-numbingly cool.